1 . Please select size! Super Retina. In big and bigger.The custom OLED displays on iPhone XS deliver the most accurate color in the industry, HDR, and true blacks. And iPhone XS Max has our largest display ever on an iPhone. Advanced Face ID.Security is simple when your face is your password. You can unlock your iPhone, log in to apps, and pay for things with a glance. It’s the most secure facial authentication ever in a smartphone. And now it’s even faster. Intelligent A12 Bionic.This is the smartest, most powerful chip in a smartphone, with our next-generation Neural Engine. For amazing augmented reality experiences. Incredible portraits with Depth Control. And speed and fluidity in everything you do. And this. iPhone XS delivers 4G LTE Advanced wireless for superfast download speeds.And up to 512GB of storage, making this our highest-capacity iPhone yet. 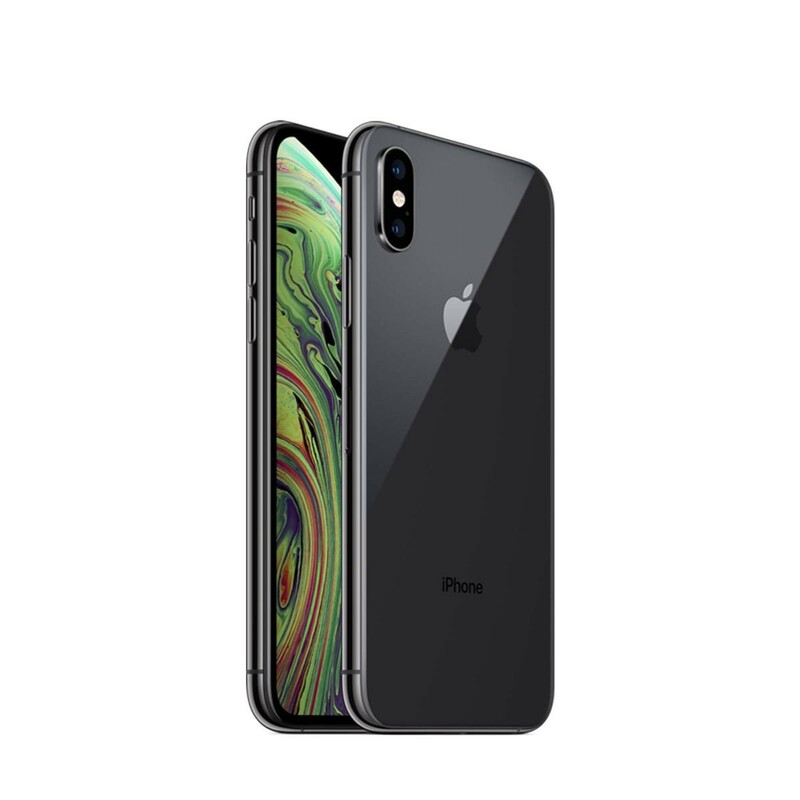 2. iPhone XS and iPhone XS Max are splash, water, and dust resistant and were tested under controlled laboratory conditions with a rating of IP68 under IEC standard 60529 (maximum depth of 2 meters up to 30 minutes). Splash, water, and dust resistance are not permanent conditions and resistance might decrease as a result of normal wear. Do not attempt to charge a wet iPhone; refer to the user guide for cleaning and drying instructions. Liquid damage not covered under warranty. 3. Qi wireless chargers sold separately. 5. Data plan required. 4G LTE Advanced, 4G LTE, VoLTE, and Wi-Fi calling are available in select markets and through select carriers. Speeds are based on theoretical throughput and vary based on site conditions and carrier. For details on LTE support, contact your carrier and see www.apple.com/ae/iphone/LTE.